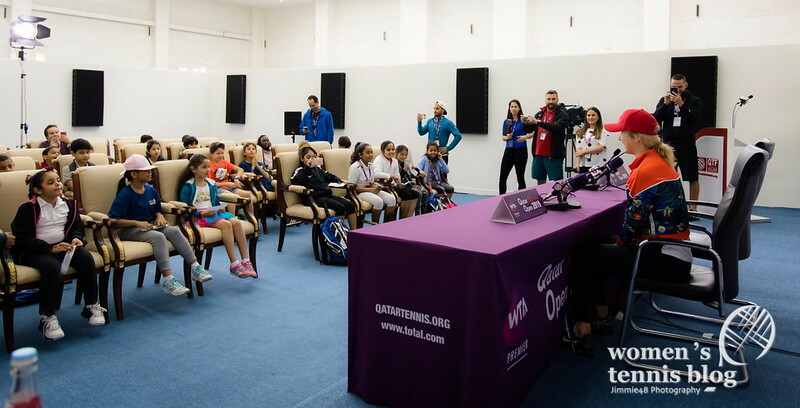 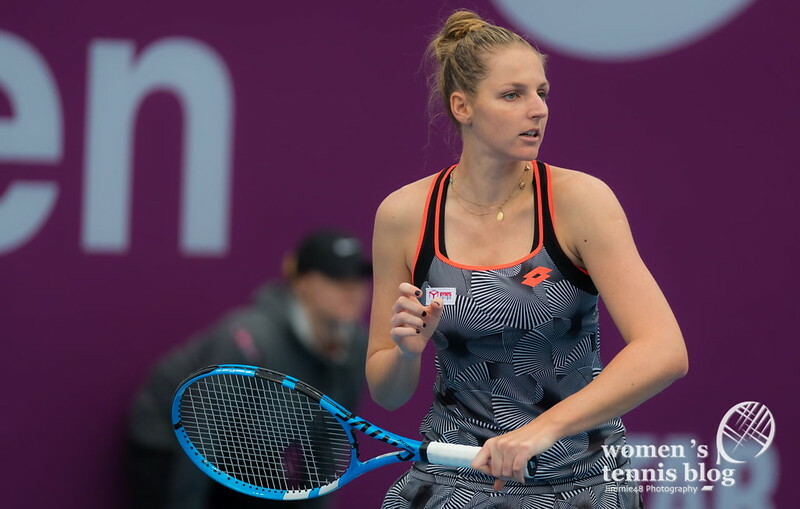 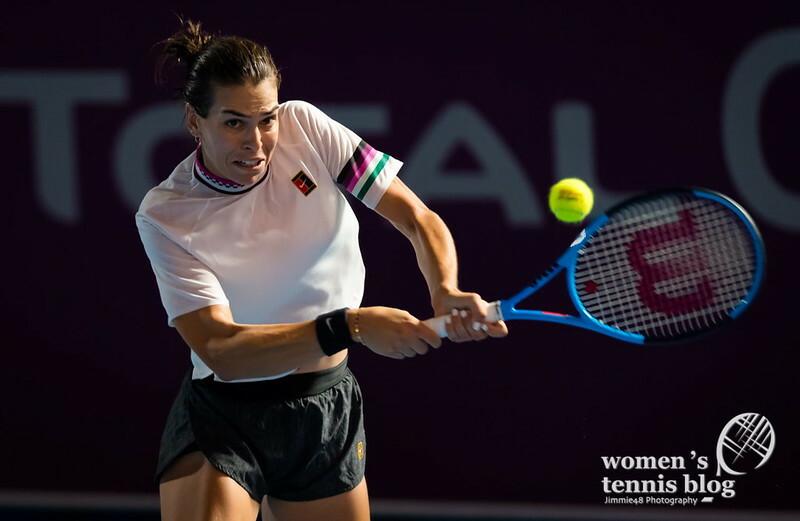 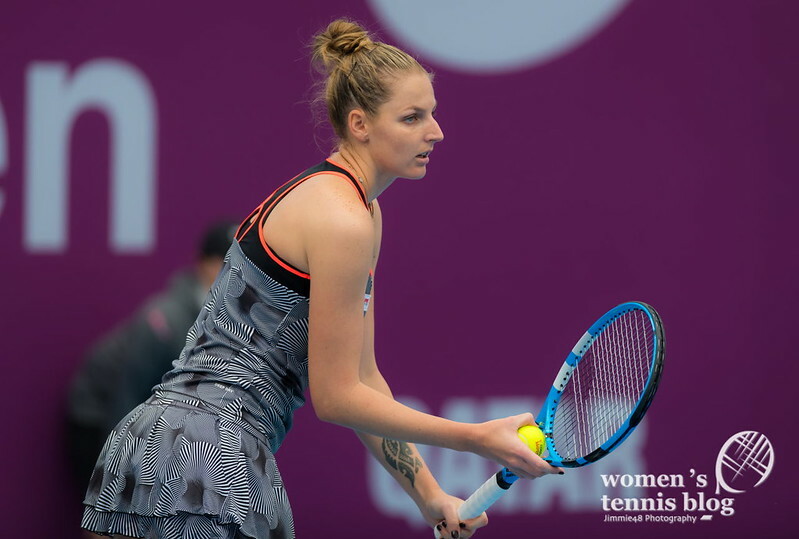 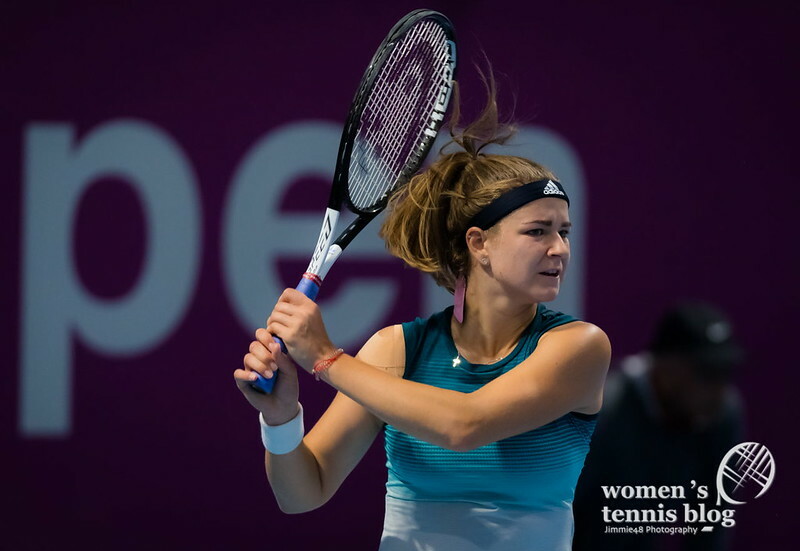 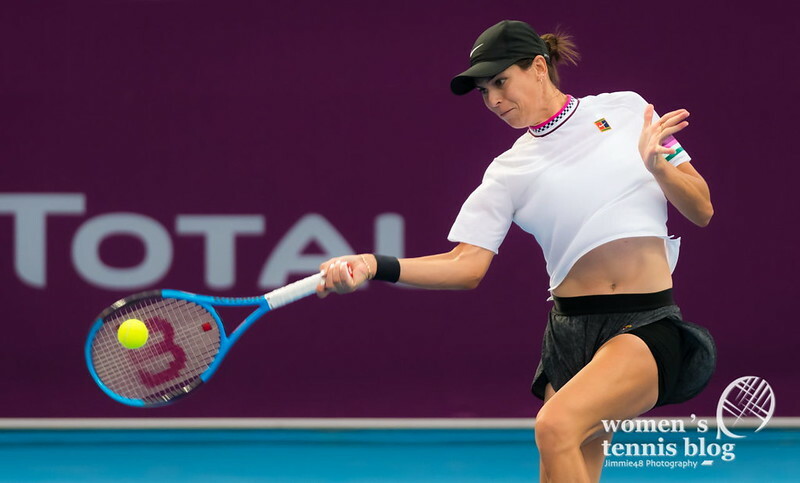 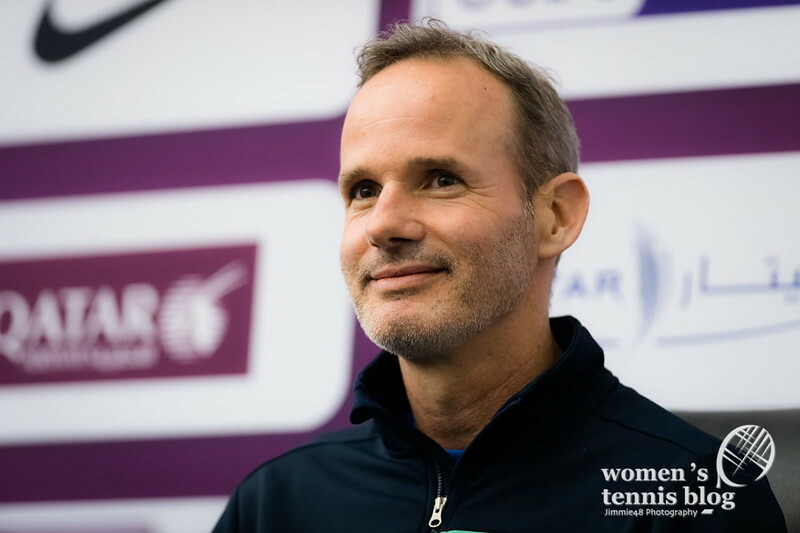 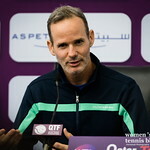 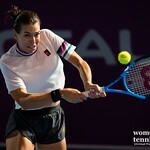 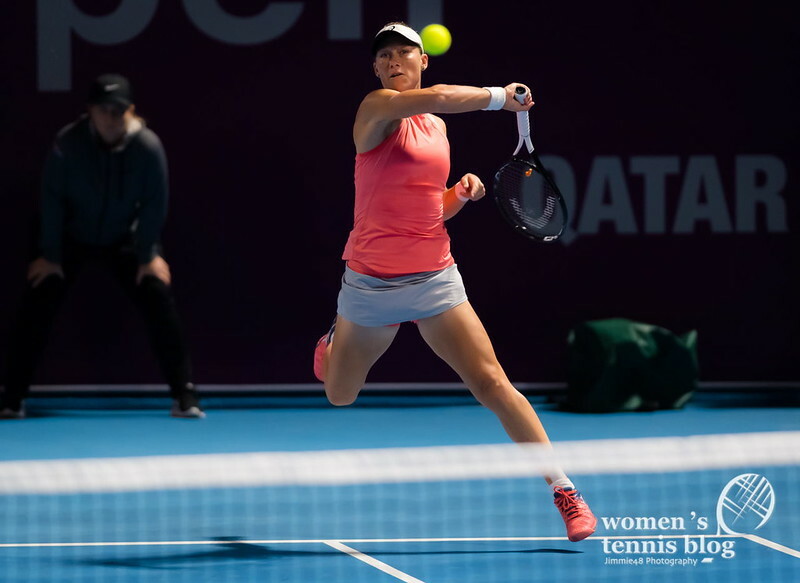 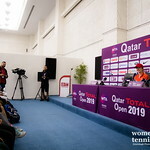 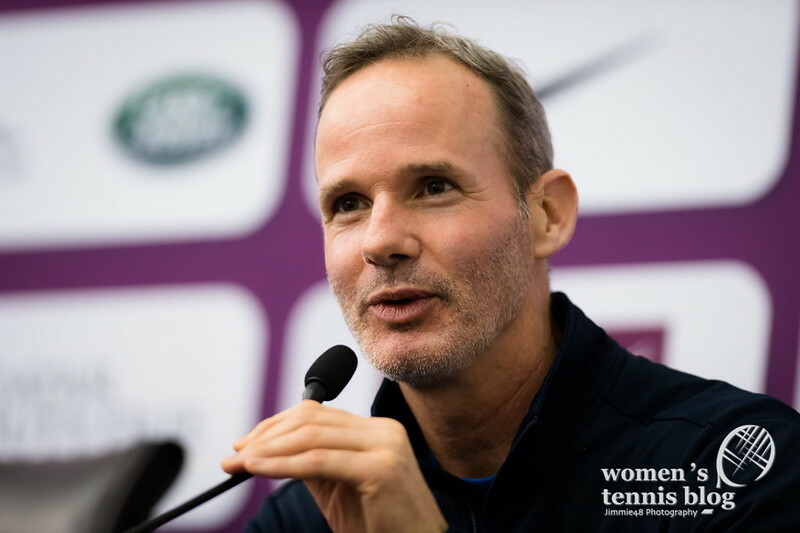 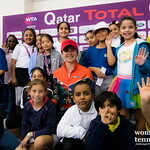 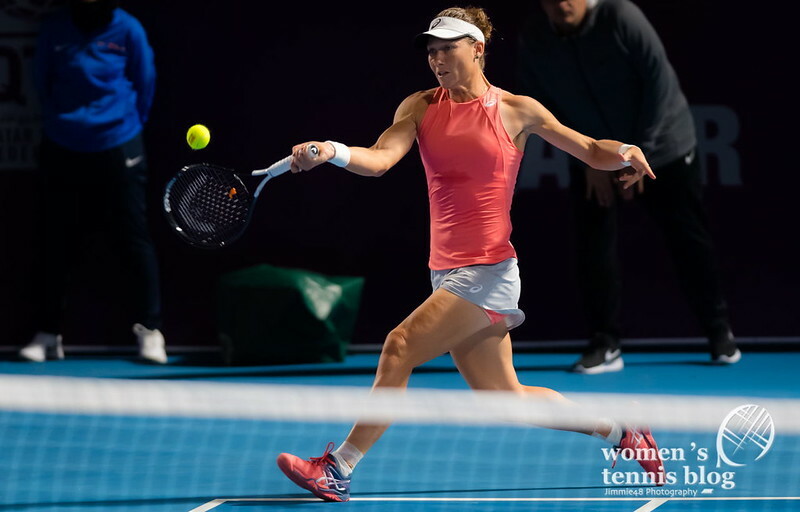 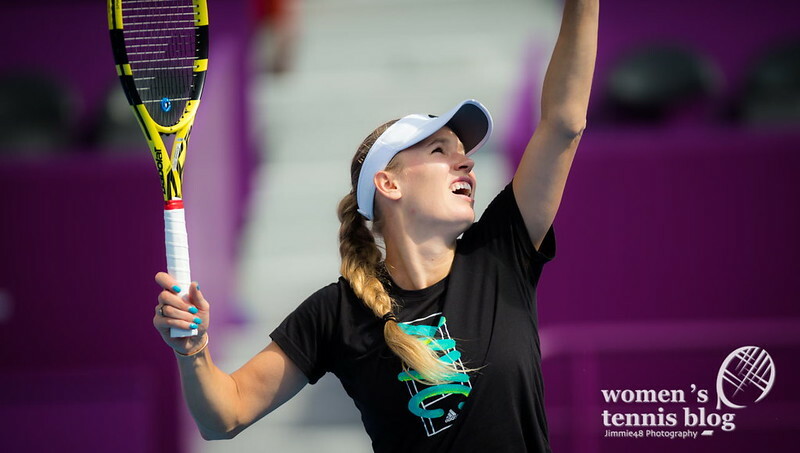 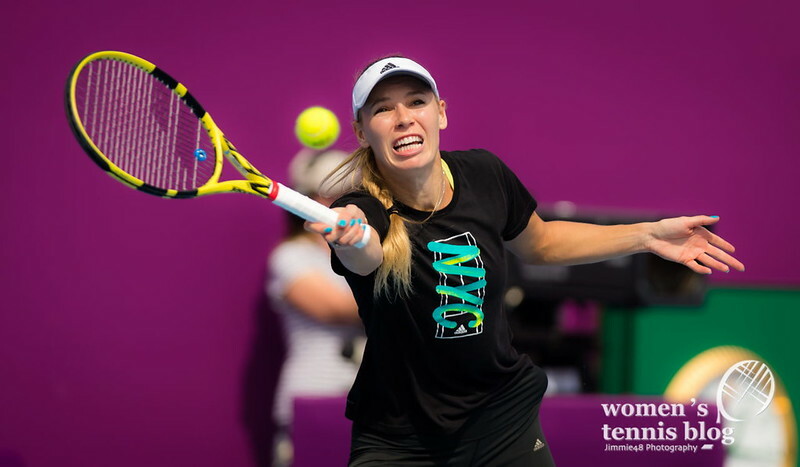 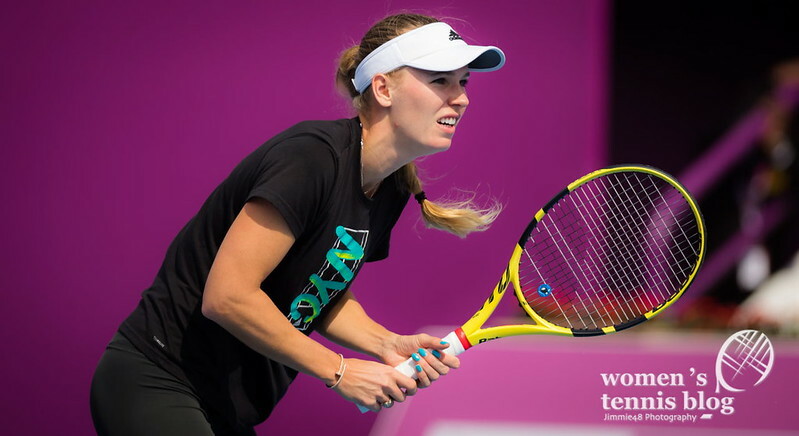 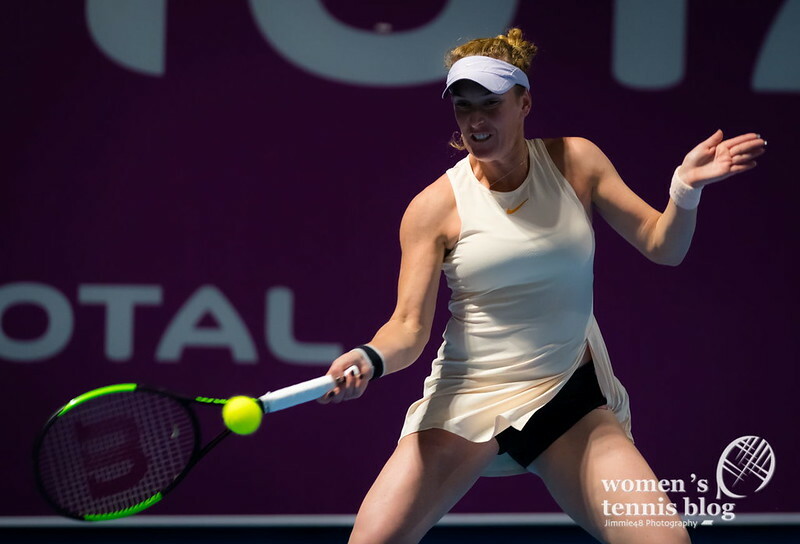 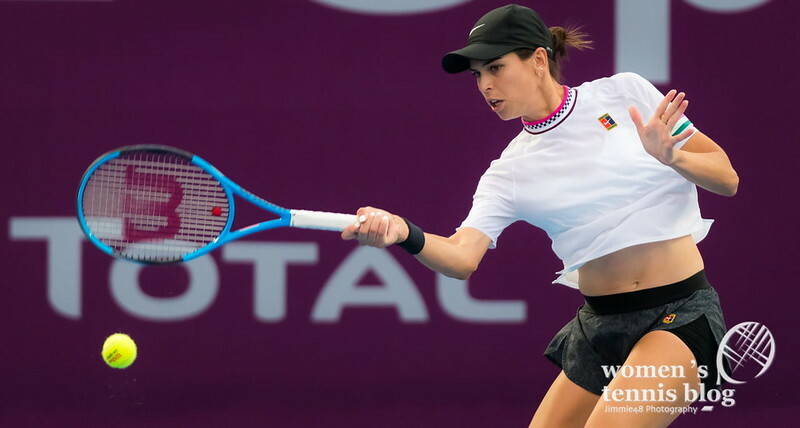 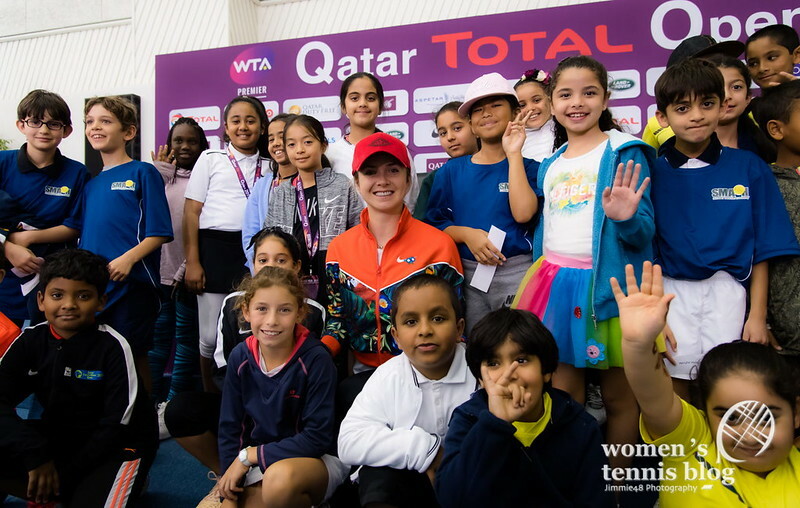 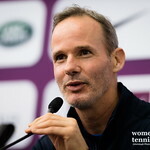 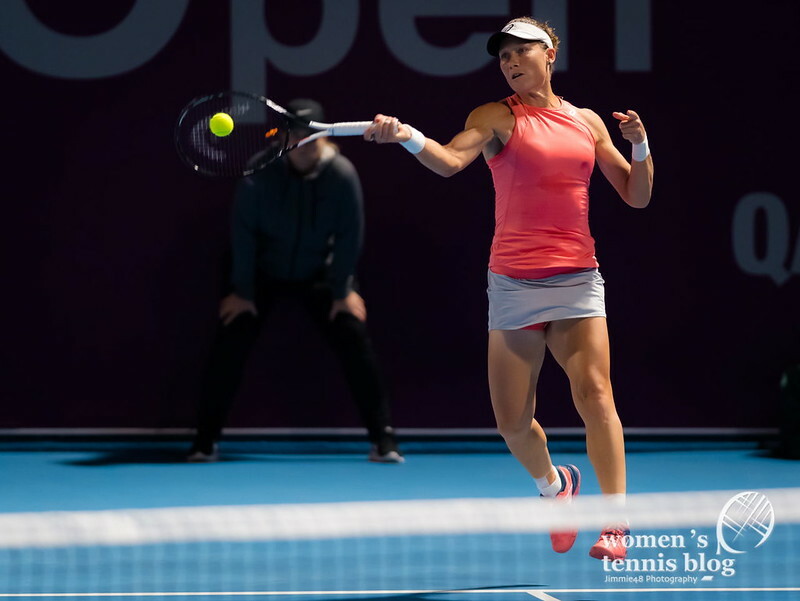 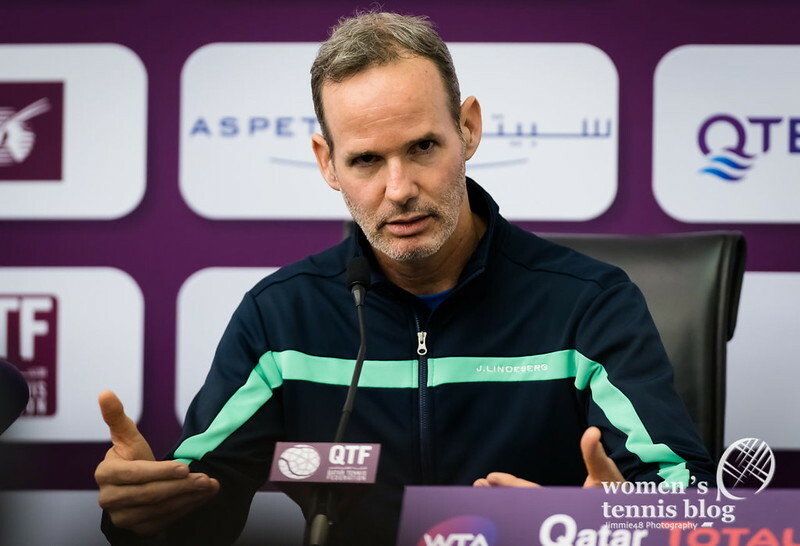 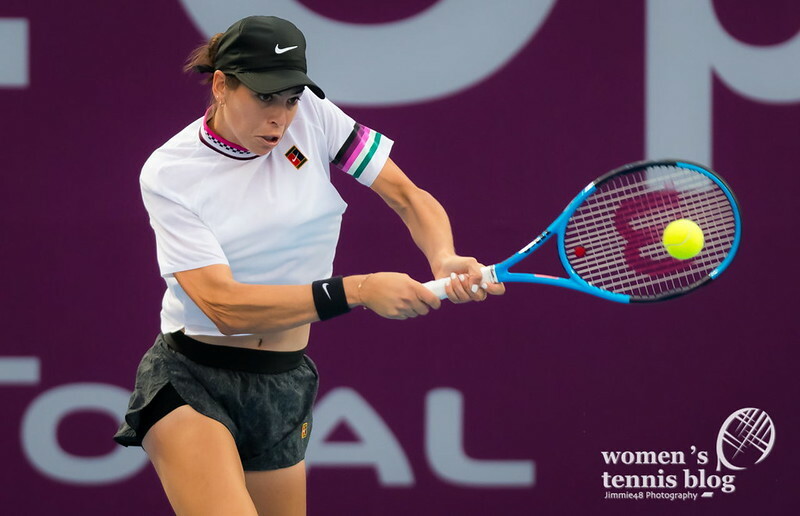 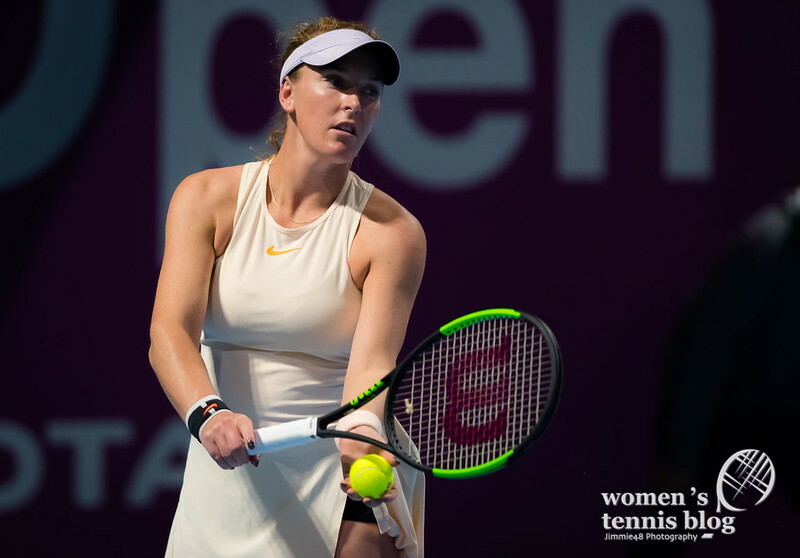 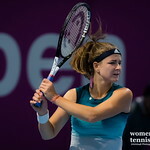 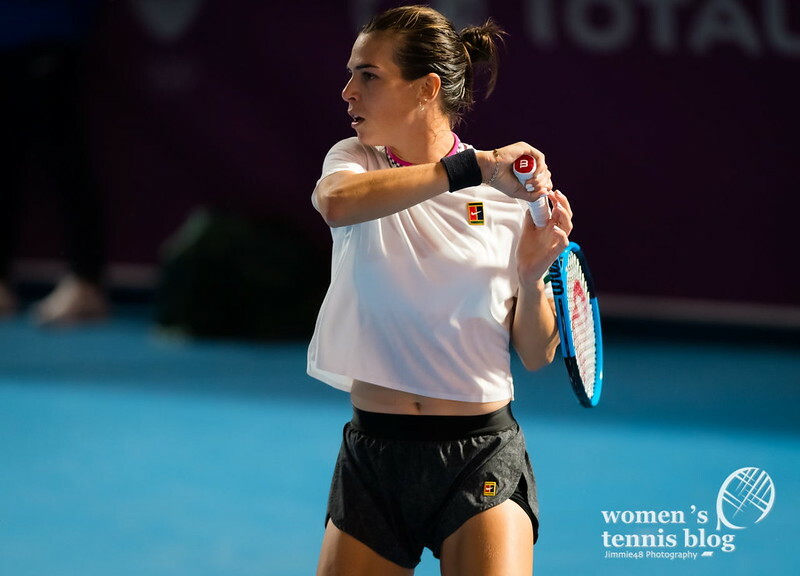 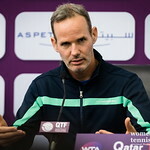 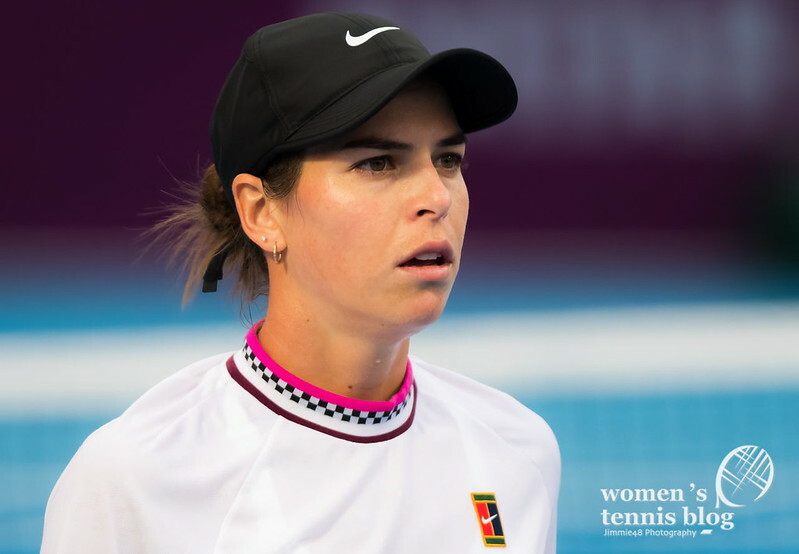 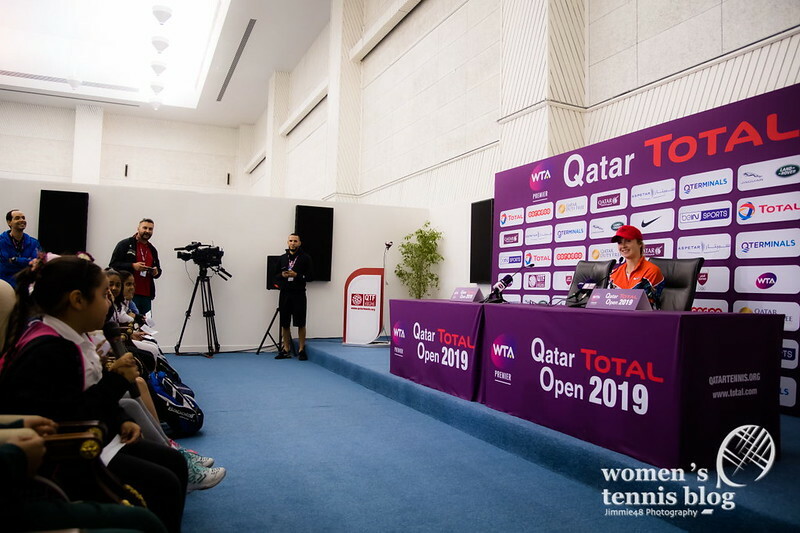 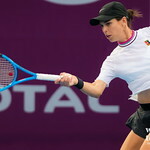 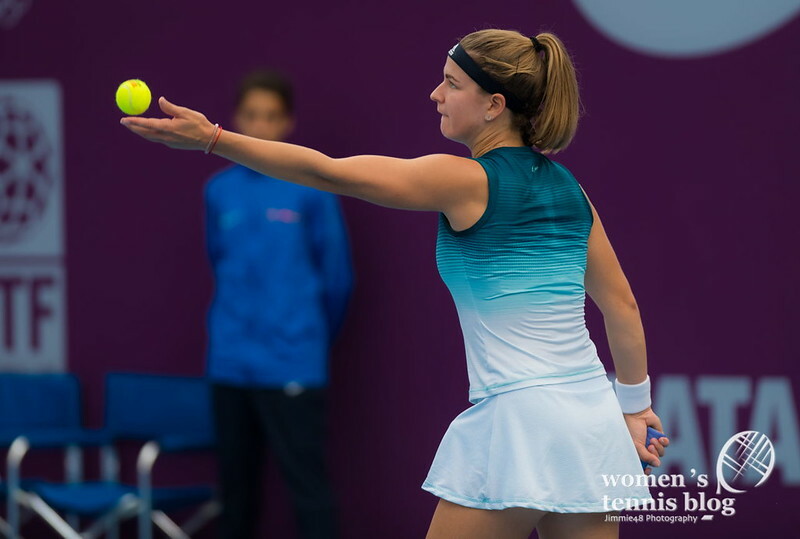 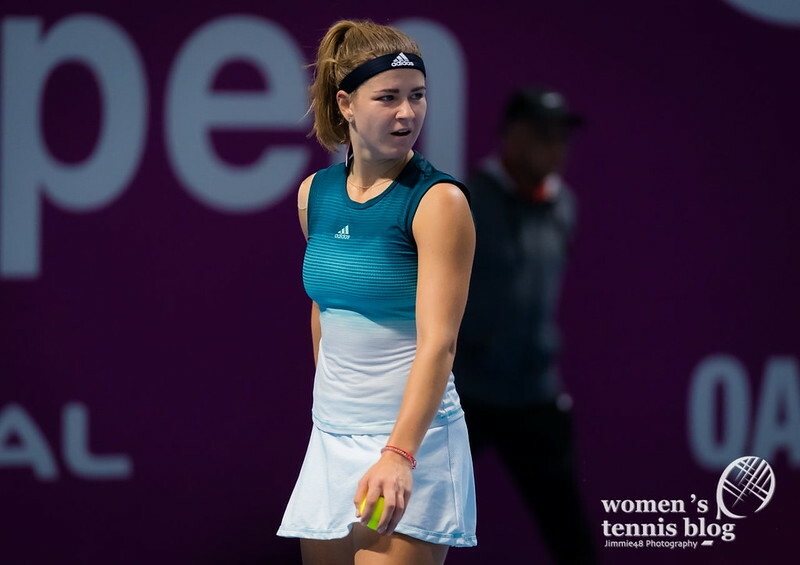 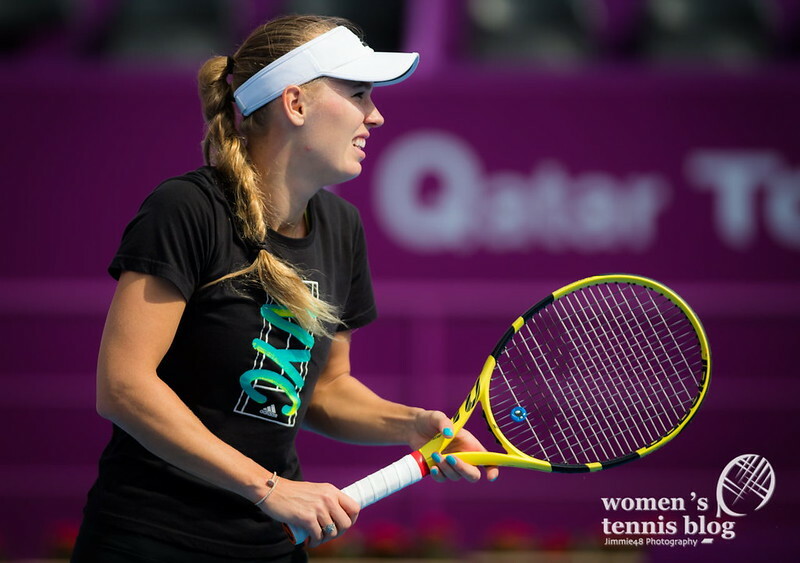 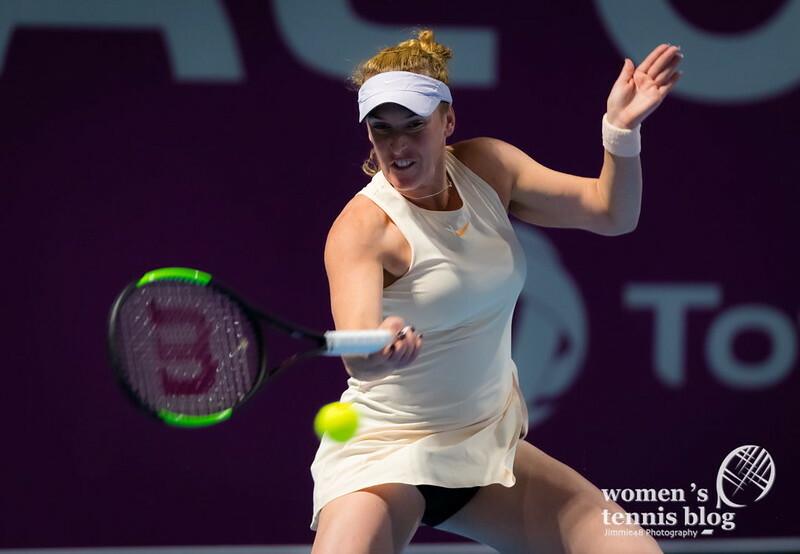 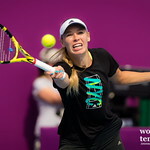 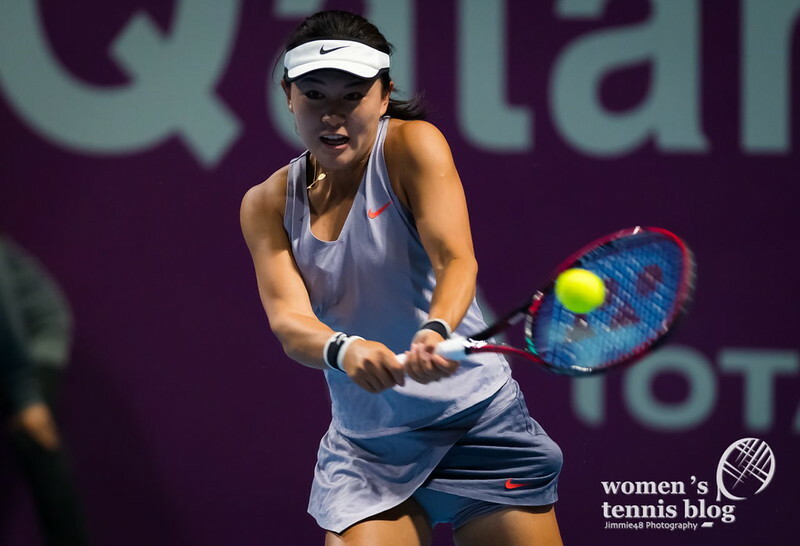 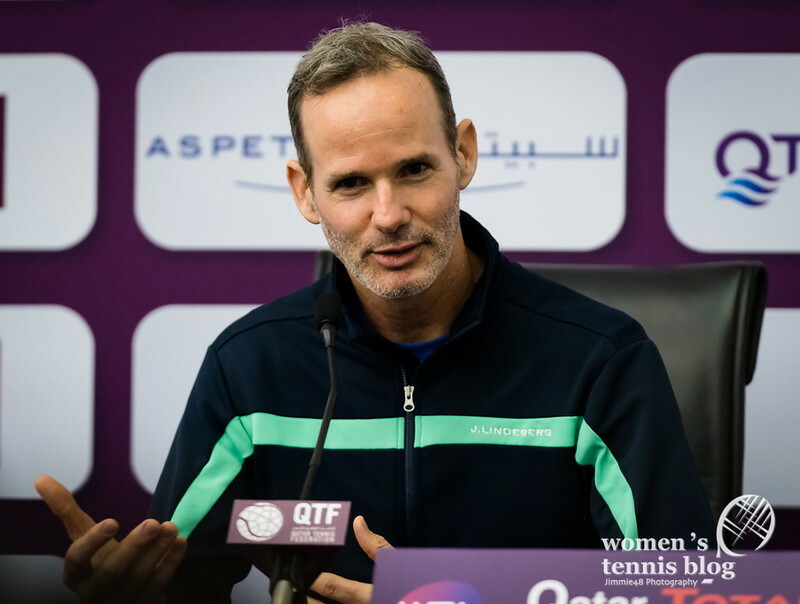 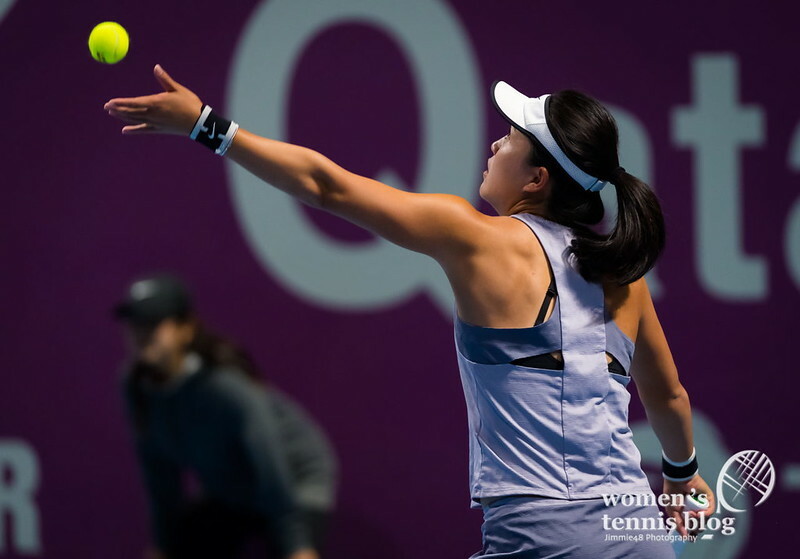 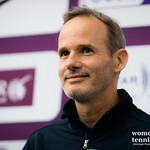 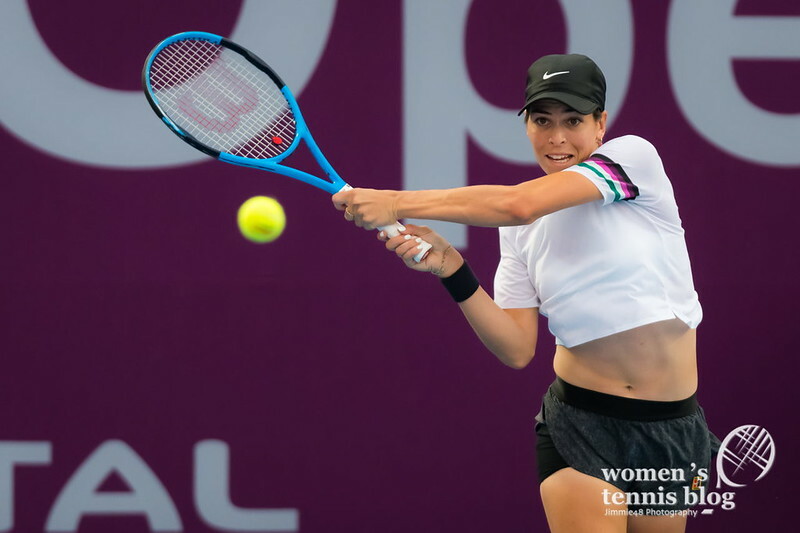 Sunday’s schedule at the Qatar Total Open in Doha was all about the second round of qualifying, as eight players progressed into the final round. 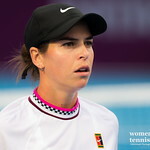 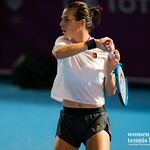 Top seed Ajla Tomljanovic of Australia needed three long sets to get past Japan’s Shuko Aoyama, American second seed Alison Riske defeated compatriot Jennifer Brady, while reigning Australian Open doubles champion Samantha Stosur, seeded fourth, is one match away from qualifying for the main draw thanks to her victory over Croatian Tereza Mrdeza. 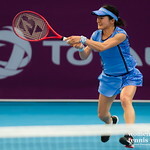 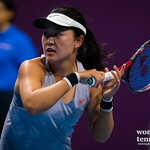 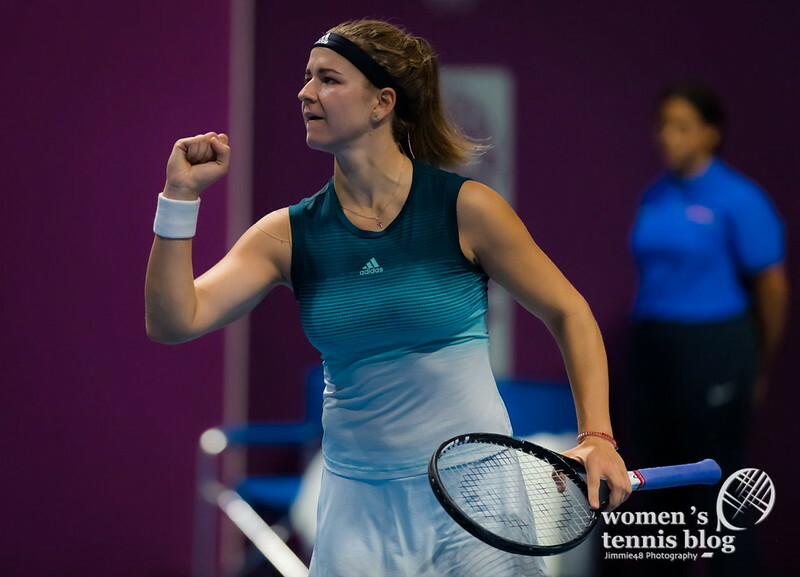 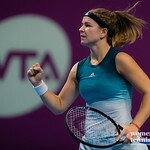 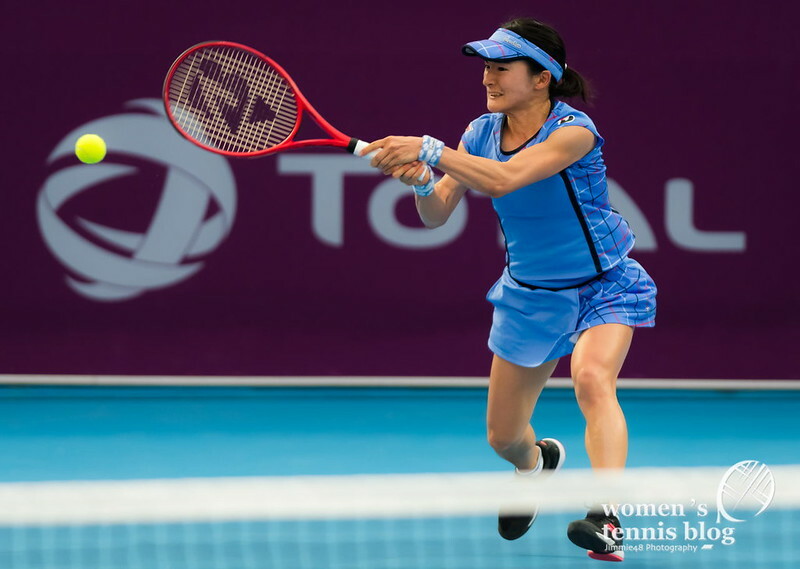 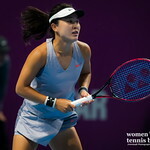 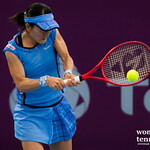 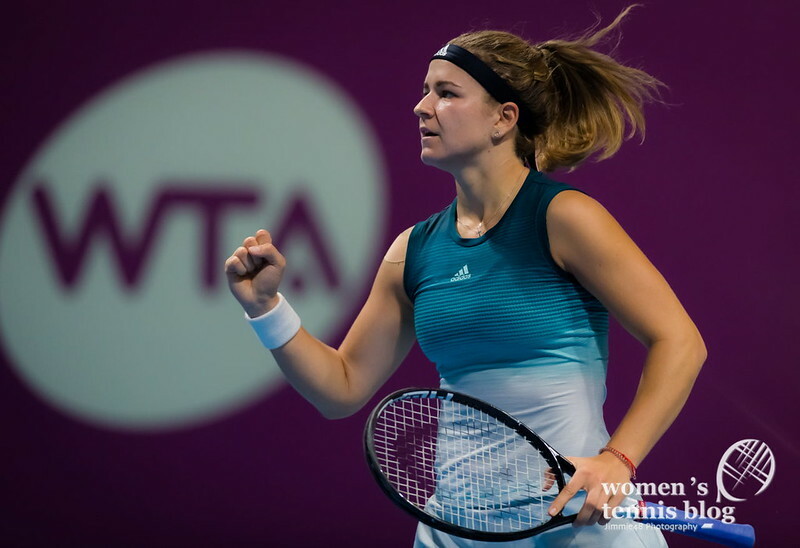 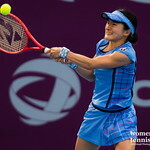 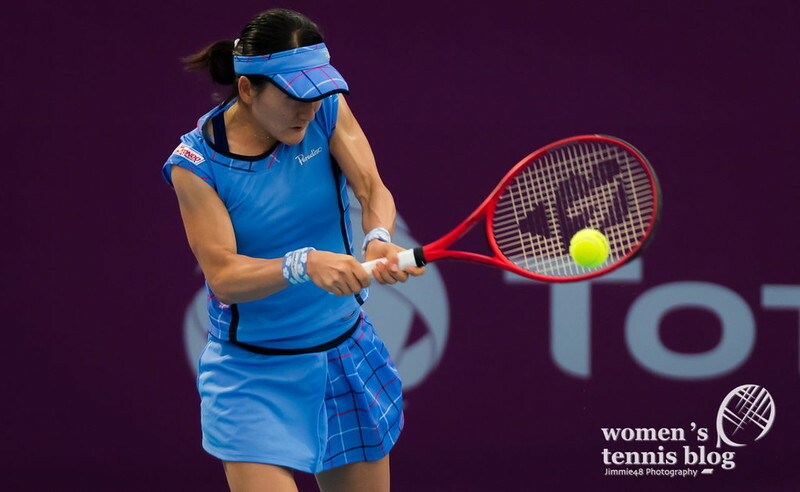 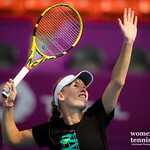 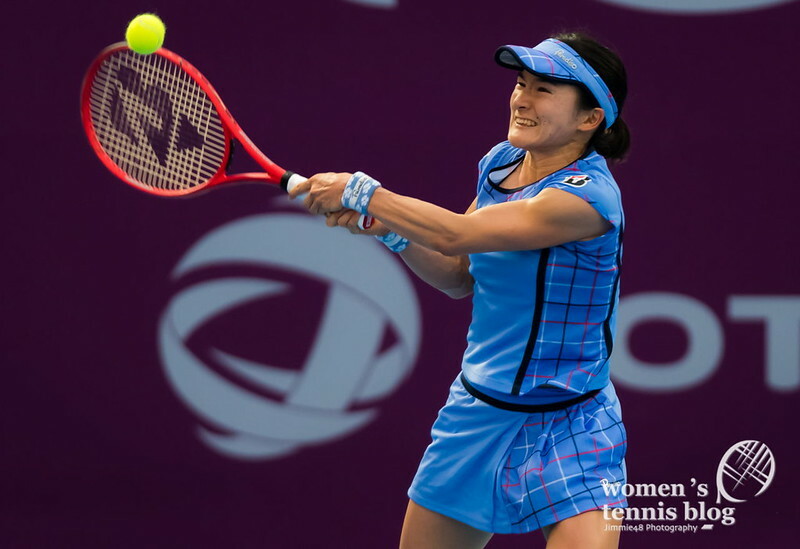 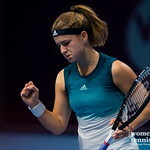 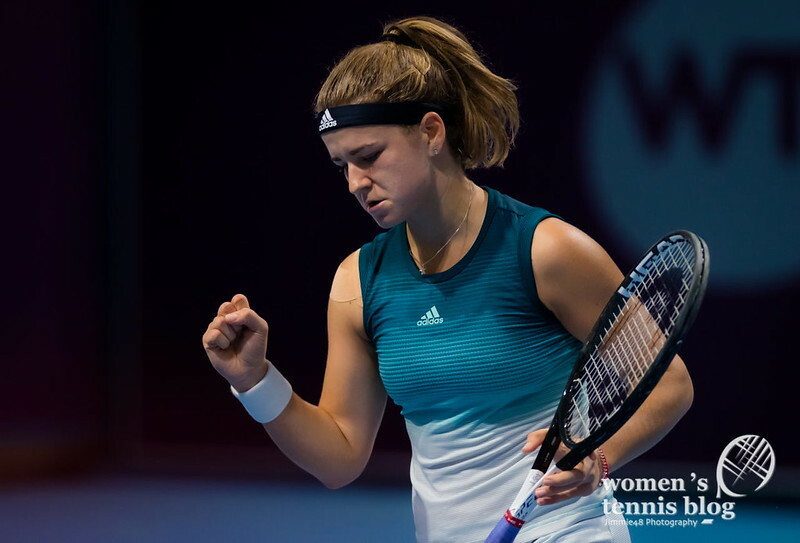 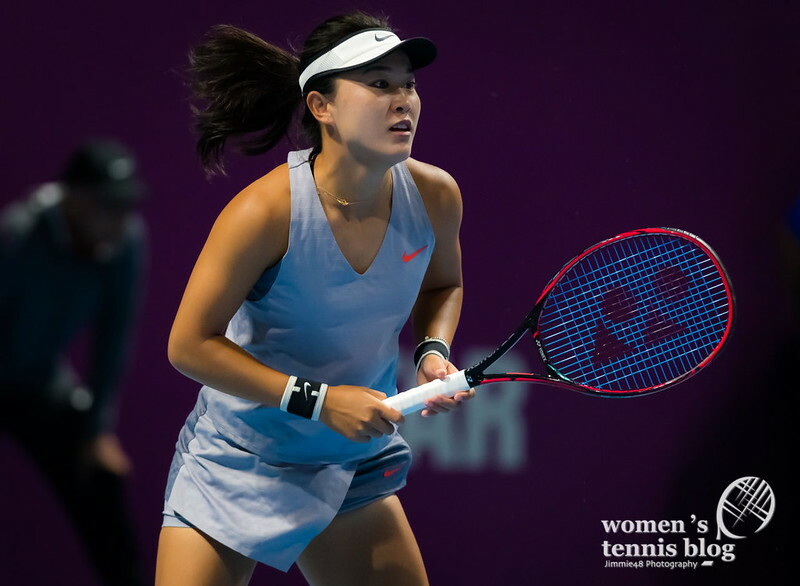 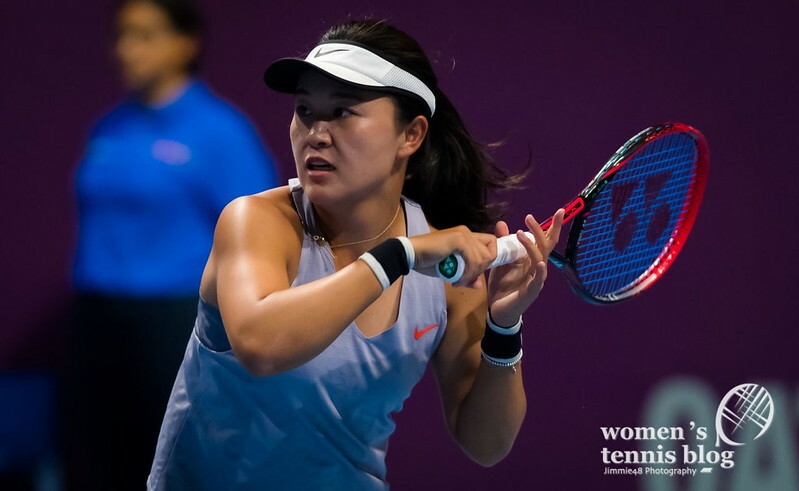 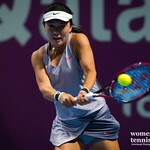 We have photos of these three triumphs of favorites, as well as of Zhu Lin‘s quick victory over Madison Brengle and Karolina Muchova‘s upset of fellow Czech Kristyna Pliskova. 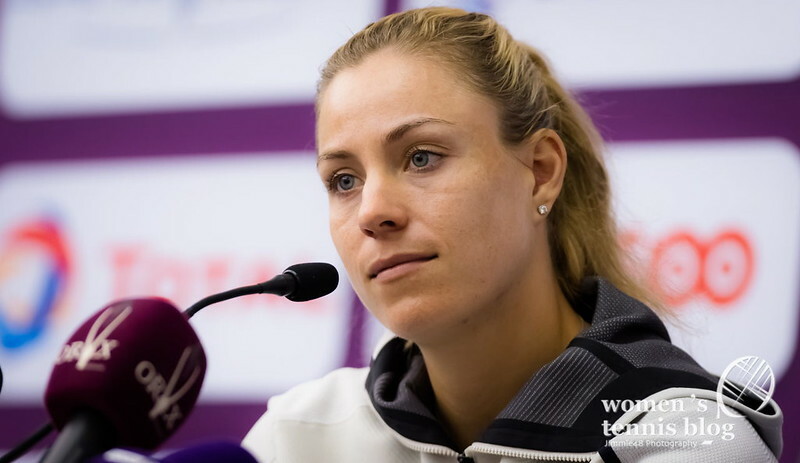 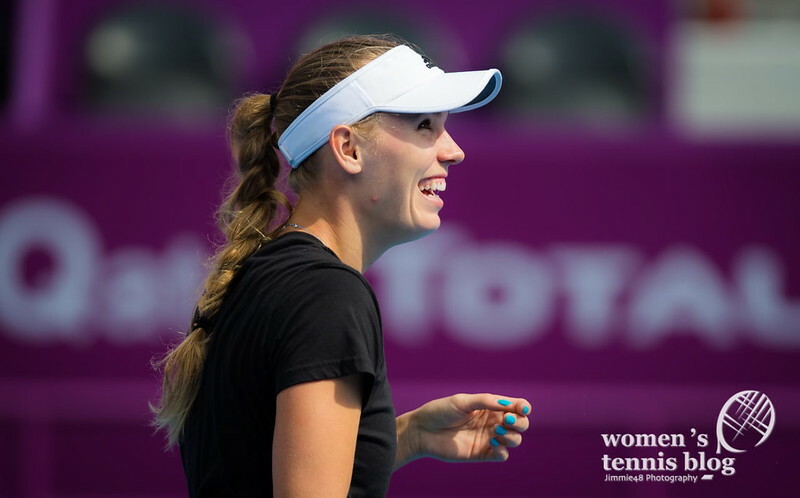 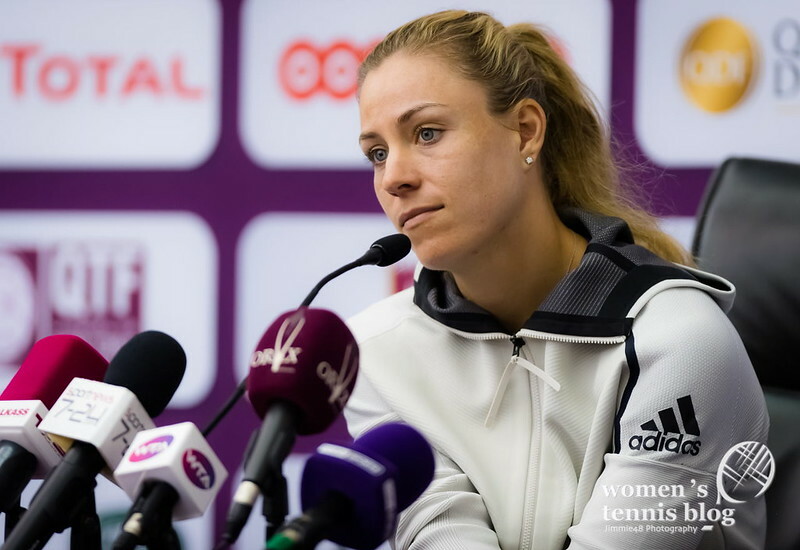 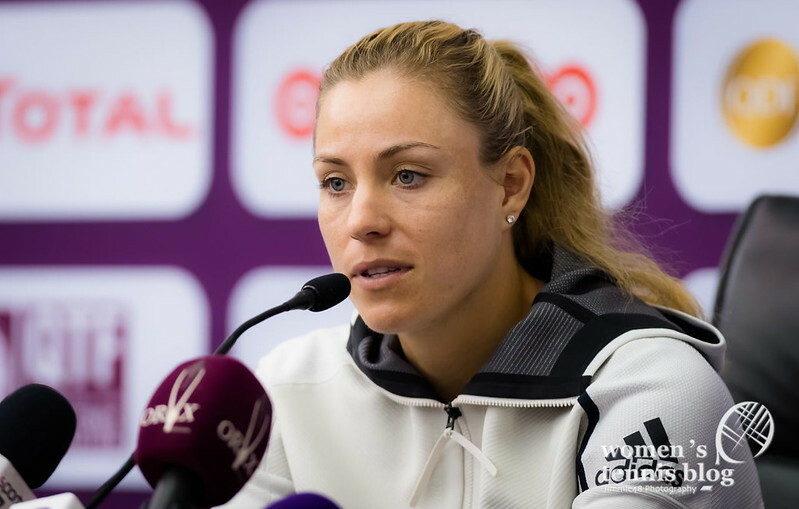 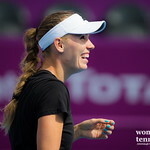 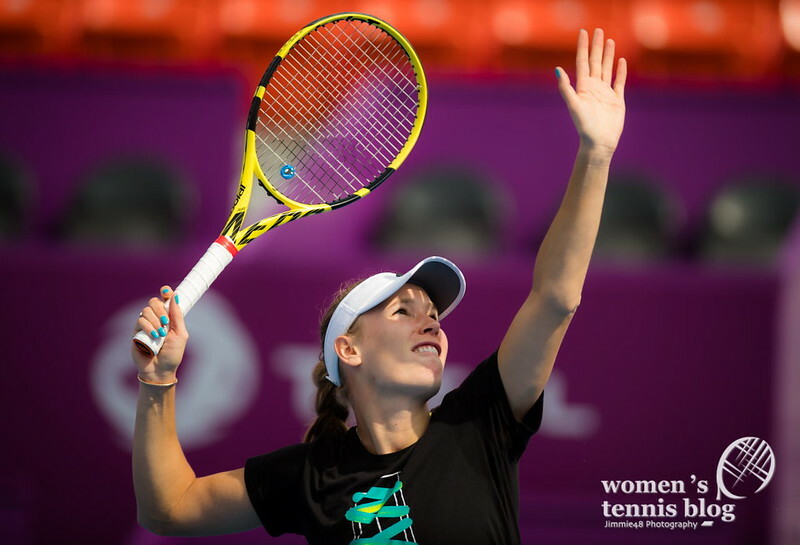 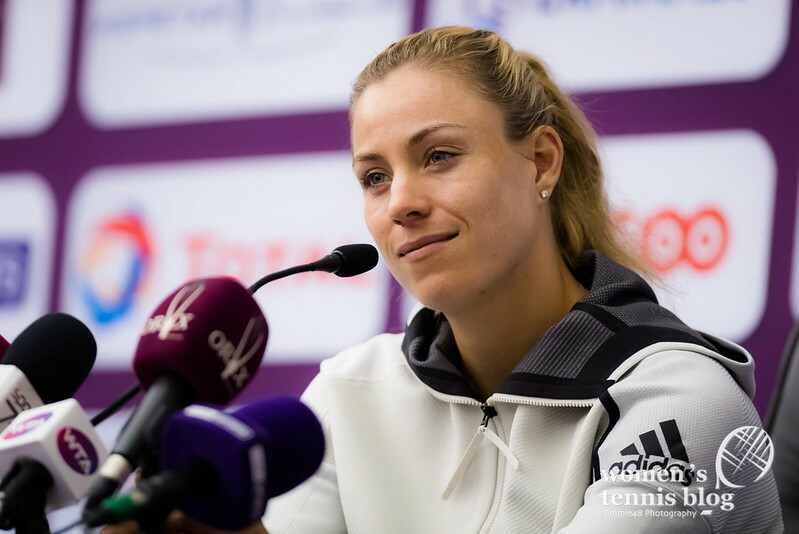 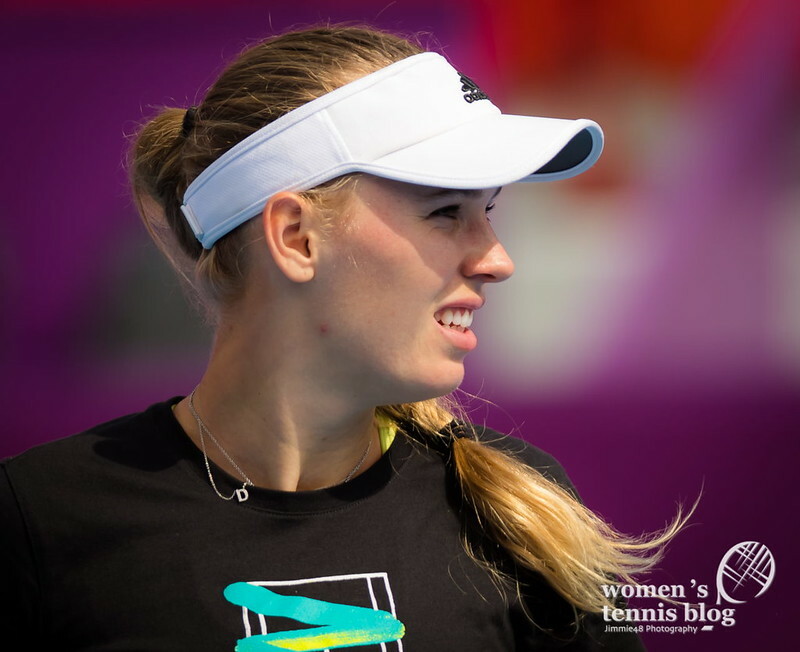 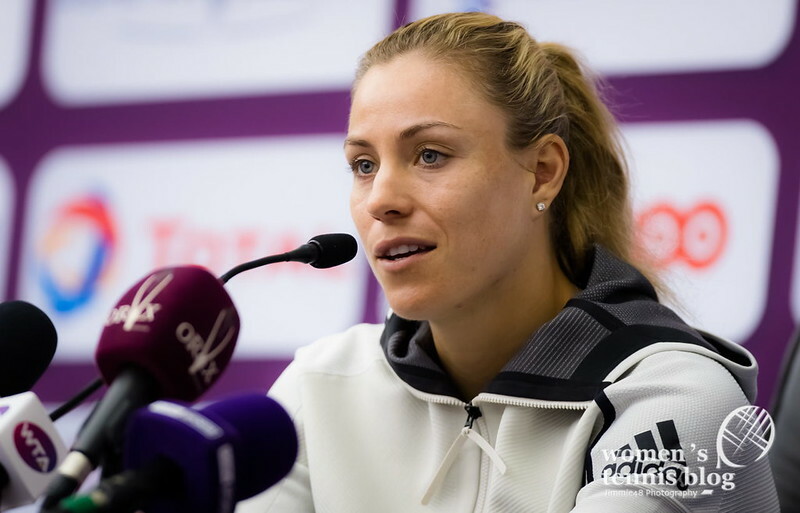 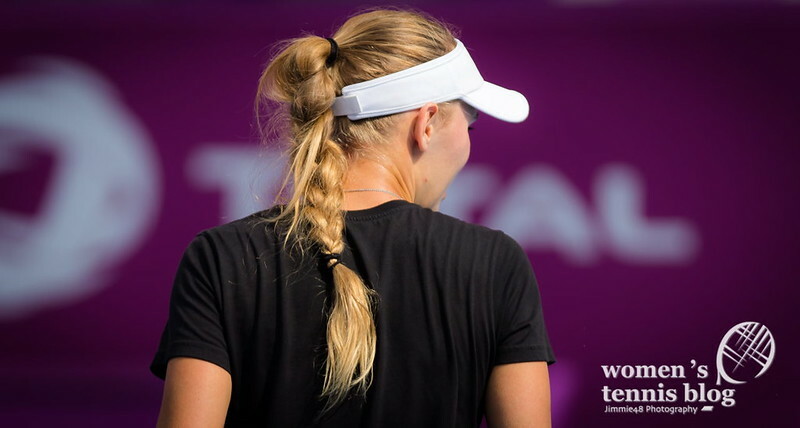 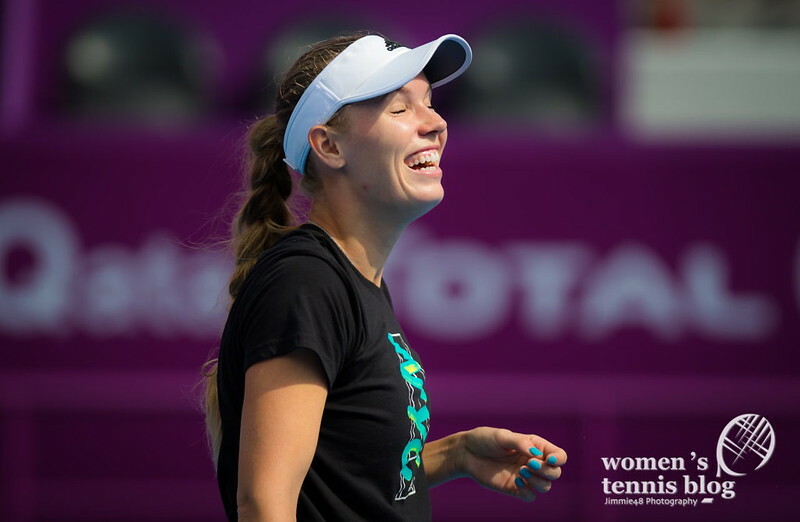 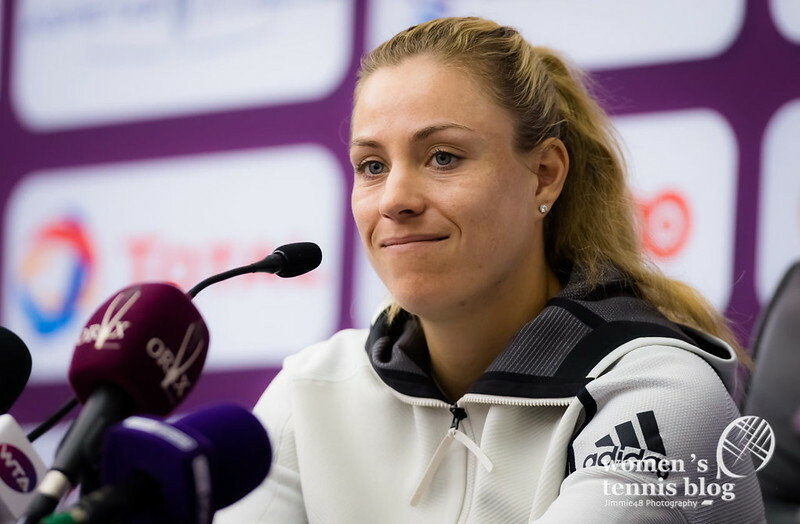 Star players Caroline Wozniacki, Elina Svitolina and Angelique Kerber had other obligations this Sunday. 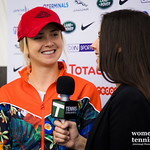 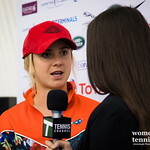 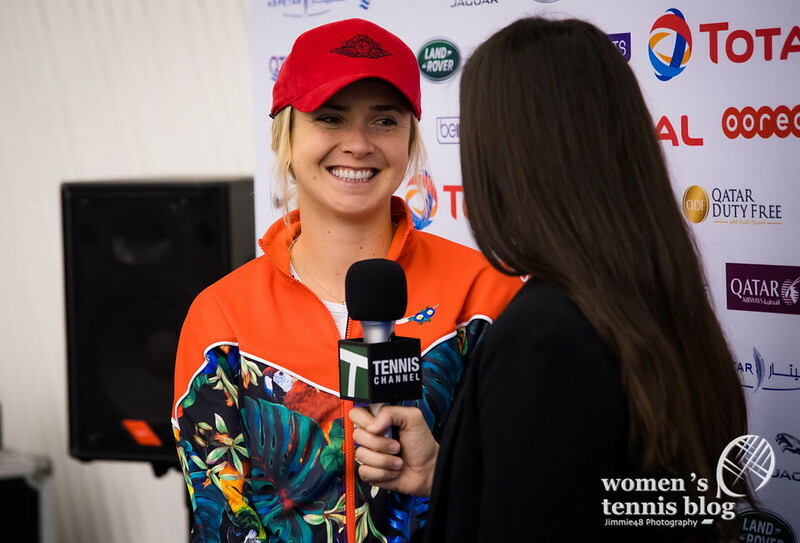 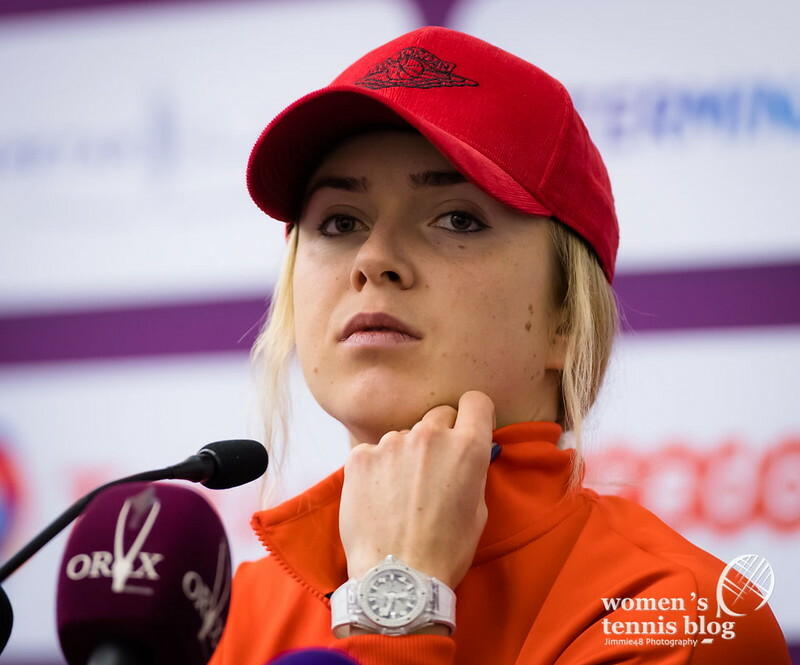 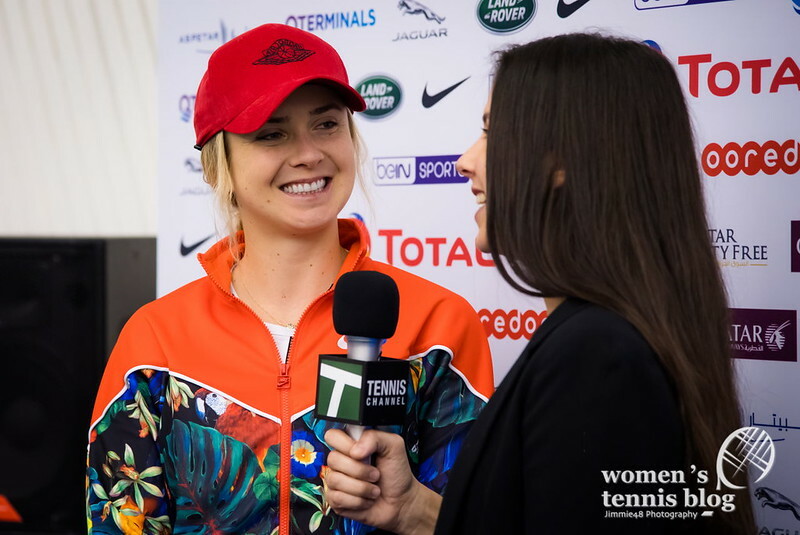 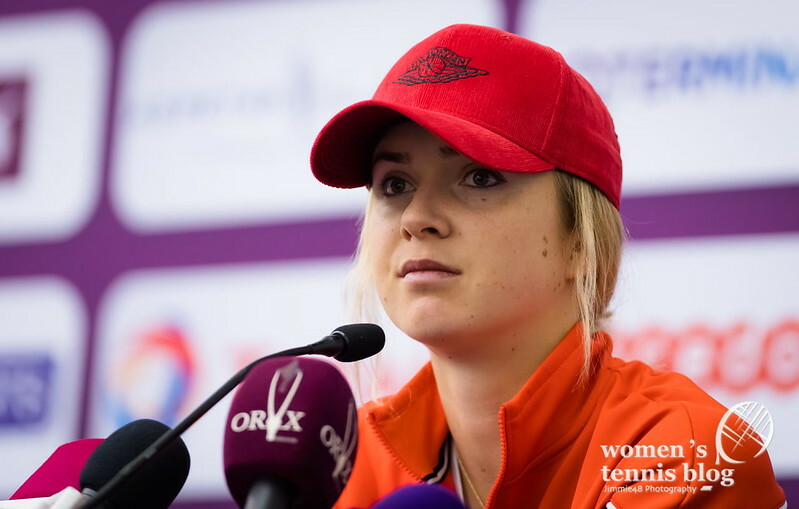 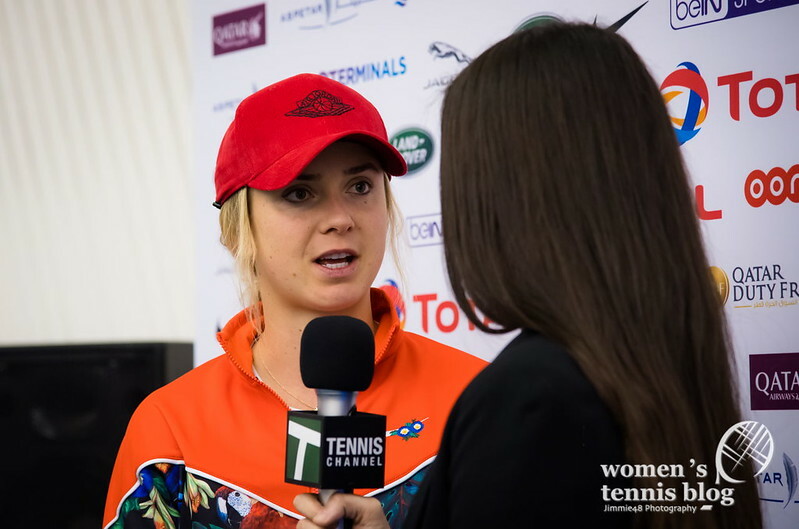 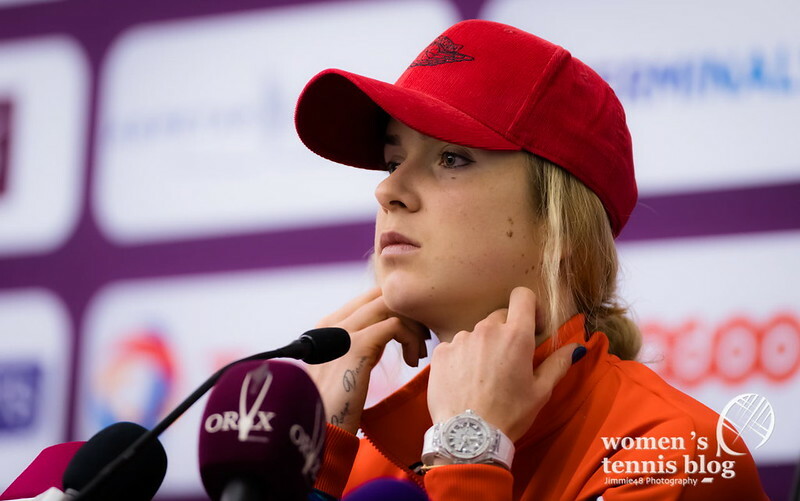 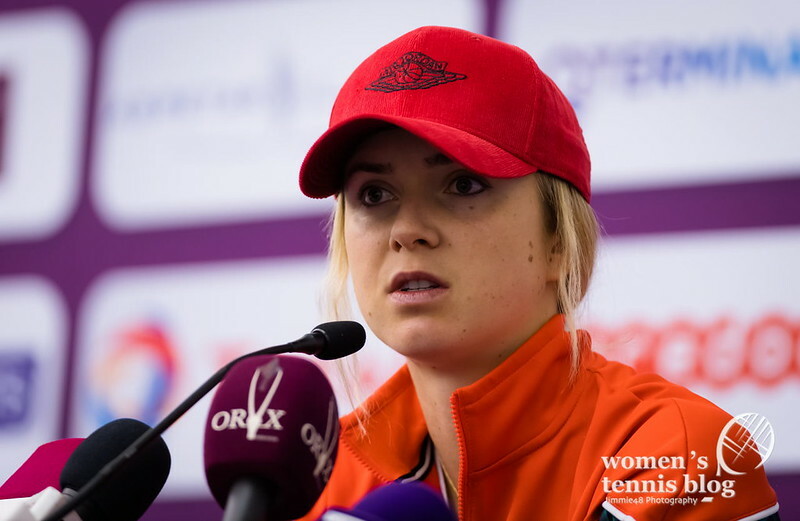 Our photographer Jimmie48 caught up with Svitolina during her media time, while Wozniacki and Kerber were spotted practicing. 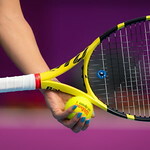 Stay with us in the coming days. 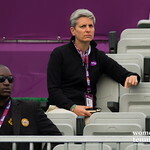 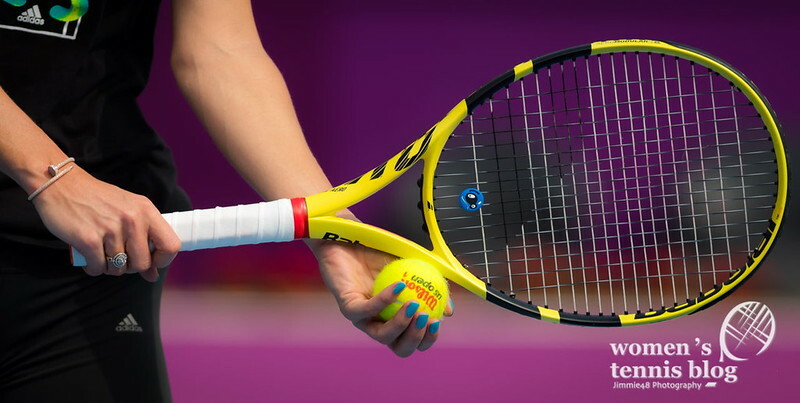 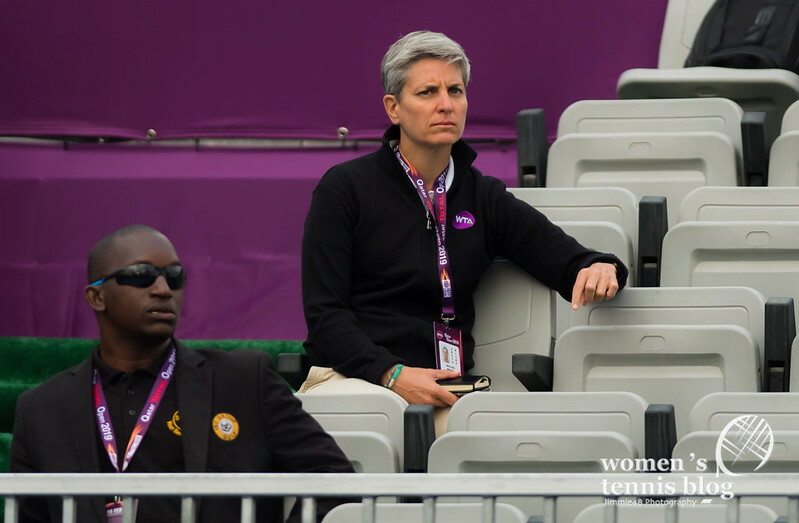 On Monday’s schedule we have the final qualifying matches and the opening of main-draw action.